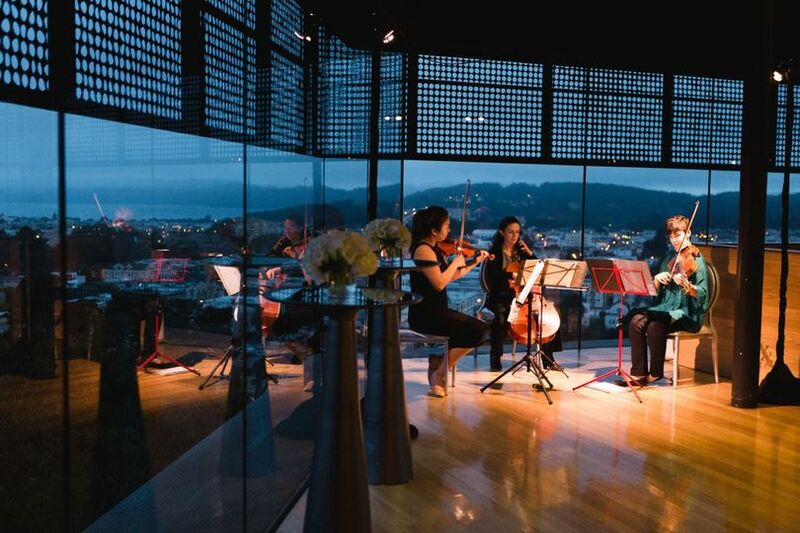 Bay Area Strings performs as a string quartet, trio, or duet for events throughout the San Francisco Bay Area and greater Central California region. 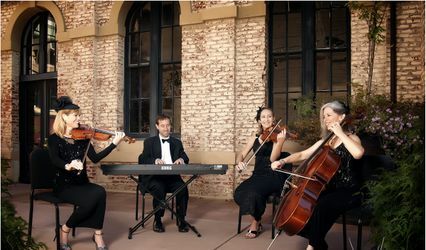 Hire professional live musicians to make your event more elegant, entertaining, and memorable for you and your guests! REPERTOIRE: Please check out our website for additional information and sound samples. 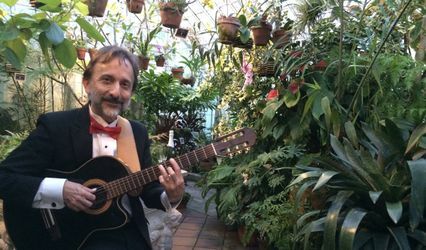 We have an extensive repertoire of classical music, in addition to pop, jazz, waltz, and tango. We are happy to accommodate special song requests, and can write a custom arrangement of your favorite song. 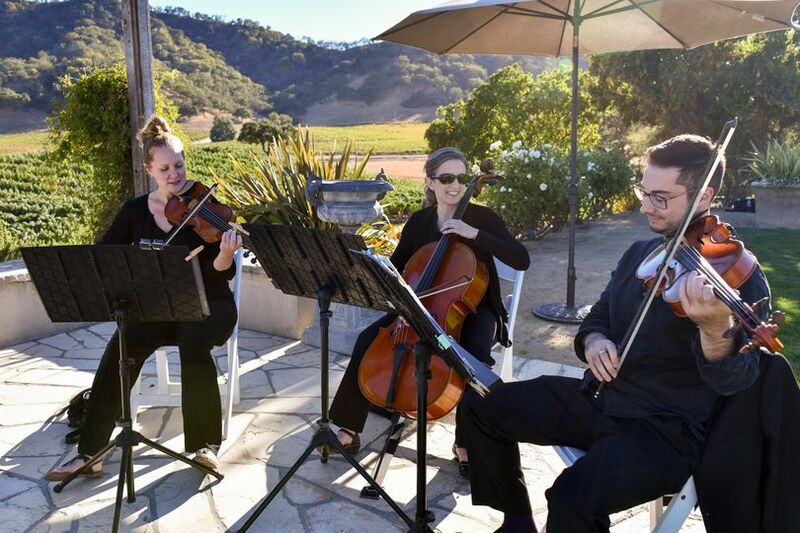 MUSICIANS: Our musicians have decades of experience performing in orchestras, chamber groups, and private events. 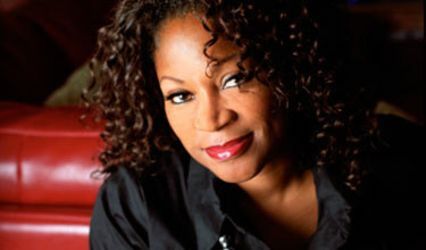 Some larger event services will provide you with a group of strangers who rarely or never perform together. In contrast, our ensembles are drawn from a very small group of musicians who play together regularly at events throughout the Bay Area. We love to share the fun, complexity, and intimacy of chamber music with new audiences. 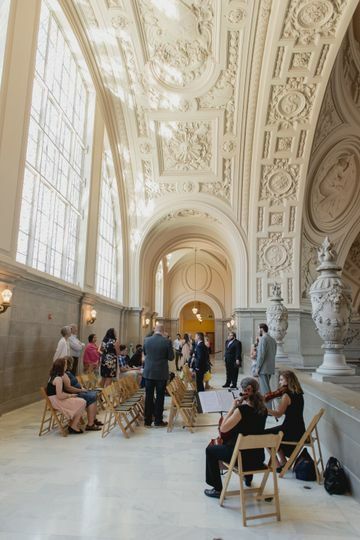 Bay Area Strings performed at my wedding at San Francisco City Hall Mayor’s Balcony. I arranged for a violinist and cellist. They performed beautifully and helped make the wedding very special. I am very grateful for their performance. 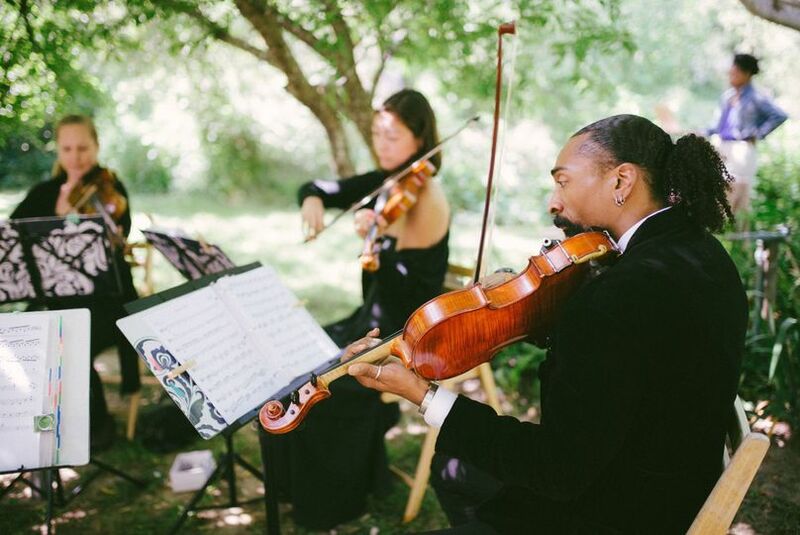 Thank you Bay Area Strings for providing such beautiful music during our wedding ceremony. Jen was very responsive over email. For our processional and recessional sounds we picked from their extensive catalog. For my walk down the aisle I specifically asked for arrangement of a Corelli concerto, and they absolutely delivered. 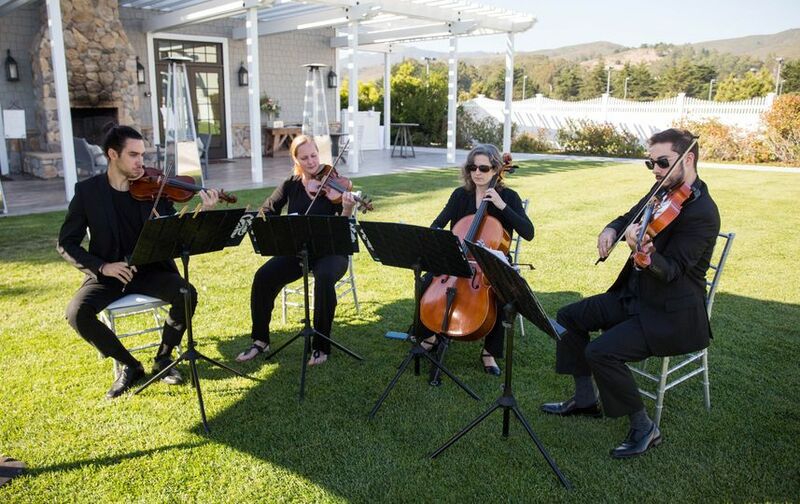 Bay Area Strings really brought our ceremony to life and made it very special. Jen and her team were wonderful to work with and they made our wedding ceremony incredibly special. I had a very specific vision for the ceremony and the strings were a huge part of that. I am so thankful that they made my wedding dreams come true. We had them play the standard classical music, but my sister sang the Beyonce version of Ava Maria which required a special arrangement/key. They were so flexible and easy to work with and it came out beautifully - the entire audience (including myself) was balling their eyes out! (In the best way possible). Highly recommend!